As your business expands, and as your blog becomes more popular, it can be difficult to keep up with producing content. You know that you need to keep adding content to your business blog in order to keep it fresh and to draw traffic to your site. But if you don’t have time, creating posts can quickly become the thing you decide to neglect. 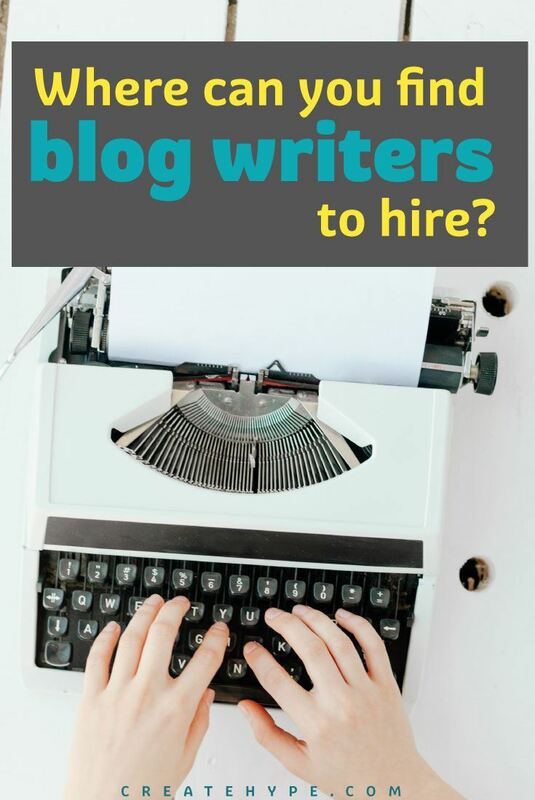 Instead of letting your blog wither and die (and possible cost your business as well), you can look for blog writers for hire. There are a number of professional writers that are available to produce content on your behalf. If you are are looking for blog writers, here are a few places to put out your plea for help. There are online job boards that specialize in helping you find staff writers. One of the biggest is Problogger. Advertise on the Problogger job board, stating what you are looking for, and you will likely be inundated with applications. You can also place your ad for blog writers for hire on places like MediaBistro and Evanto Studio. Many job boards are aggregated by the Freelance Writing Jobs web site, so that can be helpful in getting your job advertisement out there. You can also go to freelance marketplaces to find blog writers for hire. Marketplaces like oDesk and Elance can get you access to low-cost writers. You can usually find bargain prices on writers (but remember that you often get what you pay for). It’s fairly easy to set up accounts on these sites and look for writers. One of the advantages with these sites is that the escrow system protects you and the writer. Sign up through content providers like Constant Content and TextBroker. This works out well if you are looking for occasional pieces and not really looking for a regular writer. You can have articles tailored specifically to your needs submitted to you, without too much trouble. This has been the model I’ve used the most. Working your network to find writers that are already writing for people you know. If you are looking to hire a staff writer, it makes sense to ask other blog owners. If you know some other blog owners, find out which writers they use. You might be able to get a referral to a great writer that can provide you with just what you’re looking for. This can also save you in terms of advertising costs, since you are getting help from your friends, rather than advertising on a site. A few years back I noticed J.D. Roth look for writers by holding a contest, and I tried this myself a year ago as well. You can ask writers to submit a guest post, and then have readers vote on which writer they like best. One of the nice things about this is that a lot of the writers were either writers I didn’t know about or regular readers with something worthwhile to say… so I wouldn’t have known about any of those potential staff writers without announcing the vacancy publicly. Not only can you find a great writer that your readers and customers enjoy, but you can also usually get a week or two of contributions from prospective writers. When you are ready to hire blog writers, you have a number of options. There are thousands of blog writers for hire, just waiting for a chance at a regular gig, and you can add them to your site. Another great way to find content writers is to google search terms such as SEO writer, content writer, blog post writer, or article writer. Another website I use is iwriter, posts as low as $2 but you do often get what you pay for when it comes to writing content for your site. Thank you for writing this article, I have been thinking about seeing what the process and cost would be for hiring a copywriter for my online business for occasional help. What is the going rate of pay for hiring a blog writer? Or rather what is the reasonable rate and what are good questions to ask to vet out a decent writer for hire? Thank you!